What is the Full Strawberry Moon? The June Full Moon is called the Full Strawberry Moon. This Full Moon got its name from the Algonquin tribes who knew it as a signal to gather the ripening fruit of wild strawberries. It has also been known as the Honey Moon, Mead Moon, and the Full Rose Moon in Europe. Where Did Full Moon Names Come From? This is an age-old practice, nothing new. Ancient peoples commonly tracked the seasons by following the lunar calendar (versus today’s solar calendar). For millennia, people across the world, including Native Americans, named the months after nature’s cues. 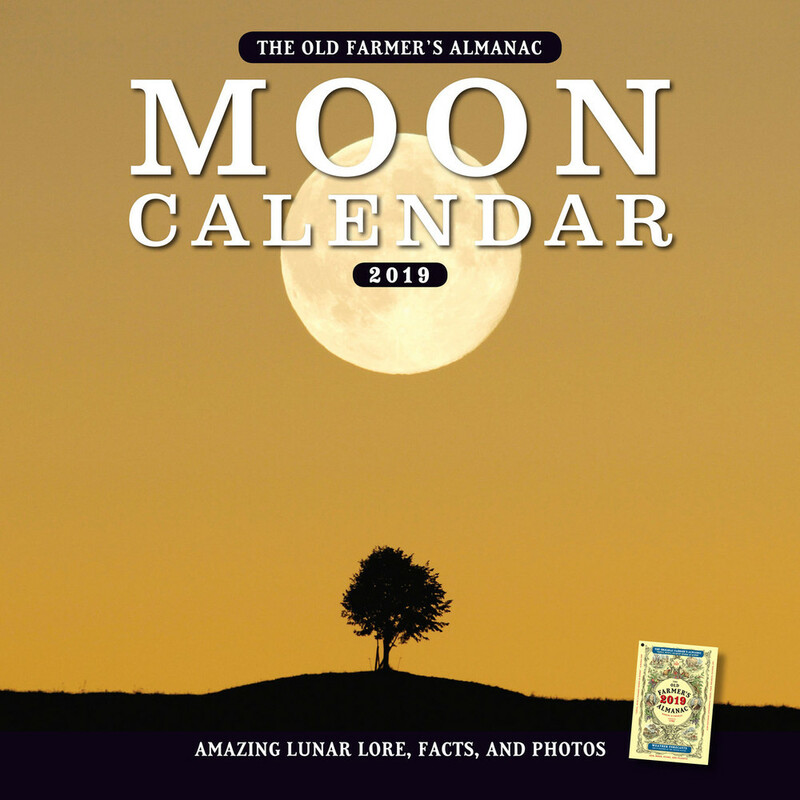 Later, Colonial Americans adopted many of the Native American names and incorporated them into the modern calendar, as you will see in The Old Farmer’s Almanac founded in 1792 during George Washington’s presidency. The full Moon for June rises early in the morning of Monday, June 17, at 4:31 A.M. See the Moon Phase Calendar for your location. New Moon: June 3, 6:02 A.M.
First Quarter: June 10, 1:59 A.M.
Full Moon: June 17, 4:31 A.M.
Last Quarter: June 25, 5:46 A.M.
For your next full Moon, see our Full Moon Dates chart. Each month, we will explain the traditional names of the Full Moon along with some fascinating Moon facts. In this video, learn about the Full Strawberry Moon. Click below to watch video. Below are the best days for activities, based on the Moon’s sign and phase in June. See the Best Days for more activities. Did you know that the Summer Solstice happens in June? Learn more at Almanac.com/summer! High Tide occurs on or about 8:00 AM and 8:00 PM during a full Moon phase. That is Eastern Standard Time. If someone can educate me as to what happenes on the west coast, it would be greatly appreciated. Thank you, on behalf of our wonderful art director, Colleen! There are no plans at this time but what a great idea! Thanks, again. My Aunt is the only person I've ever known who can tell that a full moon is on the way because 4 people on the same block are now engaged in 2 separate arguments. She comes in and asks "Is there a full moon? My reply "Only 2 days away and it's an important one, too!" Never known anyone else who could call it that close!! I wrote a "moon song" for the Inspiration in my life, my Mom, a few years ago, and every month I do a short video of the moon as I sing the short song. Last November I had my Mom right beside me while I sang her moon song and videotaped her. She was laughing with my sister in law Dianne and we had a lot of fun with it. This June 2017 Stawberry Full Moon found me singing the song once again on Thursday night since it was a clear night and I didn't want to risk not being able to view it for my video on Friday night. Living 1228 kms from where my Mom lives, I sang, "There's a full moon out tonight, and it's shining oh so bright. High up in the sky, in an almost starless night. There's a full moon out tonight, oh so round and full of light; And I say, Keep safe, stay well, I Love you Mom, Good night" Sadly, my beloved Mom passed away suddenly and tragically, so unexpectedly on Friday evening June 9, 2017. The moon, where I live those 1228 kms away, was hazy in its full form. I reached deep into my being to sing her my Moon Song again on this sorrowful night. "There's a full moon out tonight but it's not shedding it's full light. It's misty hazey partial light, is shedding tears for a loved one lost tonight. Beyond the moon and stars is where you will now shed you light so bright. Keep safe, to the ends of the Earth and back, I Love you Mom; Goodnight "
Thank you for sharing. My mom and I loved the full moon. What a sweet and wonderful story, Debbie. Thank you much for sharing this prescious memory of yours. God speed. Such a beautiful story & song. Much love & light to you & yours. That moon kept me up half the night. The moons are really cool. Strawberries are native to Europe AND the USA. There's many species of strawberries too, it's just that we don't eat most of them anymore. You are indeed correct – there are more than 20 strawberry species found throughout the world, including North America and Europe. We have revised the content to reflect this. Thank you! my name is Clark just so all know this isn't Kimmie. Strawberries are good and all and the almanac is great because it's written around the moon which the moon controls bout all things on earth. folks look at the purty Strawberry Moon but the MOON all need to be chatn bout n focused on seeing is the THE FINAL BLOOD MOON OF THE MOON TETRAD WHICH IS IN SEPT AND THE HARVEST MOON. Great wrath coming with it to all nations and all men. Honestly this strawberry moon thang is kinda humorous!!! RELATING TO END TIMES. IF YOU KNOW ANYTHING ABOUT THIS, PLEASE GIVE ME A HOLLER. I love to read the almanac. I'm definitely a moon person, even wrote a children's story "Somebody is Eating the Moon"
where can i read the story? when is a good time to cut a persons hair?? Start of new moon til full moon, for faster growing hair. Conversely, if you want your hair to grow thick but more slowly, cut your hair during the waning moon. You can get more technical than that -- go to the "Best Days" lists of the Almanac for answers. Strawberries ripen in the mid-South through early June, very rarely into July. You must live somewhere in the upper Midwest. Strawberries are already getting ripe in Southeastern Ohio. Already made 2 strawberry pies and Strawberry shortcake.